Sen. Elizabeth Warren, D-Mass., has proposed a bill that sets out to make homes more affordable for low-income and middle-class Americans. The American Housing and Economic Mobility Act of 2018 calls for construction of new homes and more renovations of existing ones by removing some red tape for builders on regulatory costs and offering more incentives for them to build more affordable homes. For example, the bill proposes giving local governments incentives to remove or ease some zoning and land use regulations that have stood in the way of increasing building in recent years. The legislation also calls on providing assistance to low-income renters and home buyers, such as by offering greater down payment assistance to low-income, minority communities. The bill calls for $2 billion to be earmarked to help homeowners who are still underwater on their mortgages, even a decade after the financial crisis. The bill also calls for an expansion of the Fair Housing Act to make it illegal to discriminate against prospective renters and buyers based on sexual orientation, marital status, gender identity, and job. The bill would be funded by raising the estate tax and taxes of the 10,000 wealthiest households in the U.S. The National Association of Home Builders applauded Warren’s move to bring up legislation that targets the affordability crisis in housing and reform local zoning laws to make it easier for builders to add inventory. However, “funding many of the provisions within this broad-based bill by raising the estate tax could hurt many small family-run businesses by imperiling the ability of the owners to pass on their business to future generations,” Randy Noel, the NAHB’s chairman, said in a statement. U.S. Sen. Elizabeth Warren is attempting to put the increasingly expensive housing market into reach for more Americans. To do that, the Massachusetts Democrat is slated to introduce a roughly $476 billion housing bill in the Senate on Wednesday. It’s unlikely that the bill, focused on creating more affordable housing for low-income and middle-class Americans, would be passed by a Republican-controlled Congress. But the political landscape could change if the midterm elections in November usher in a blue wave of elected officials. 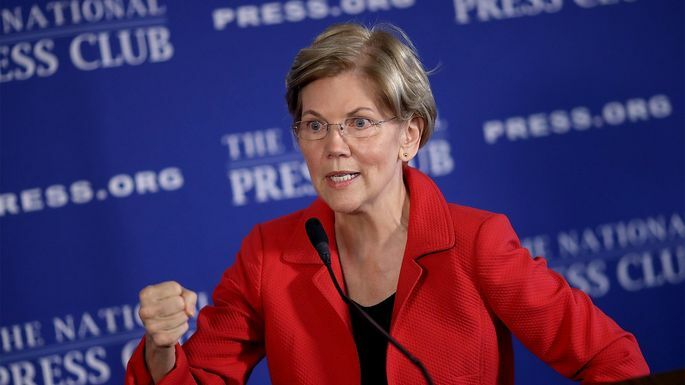 Plus, the legislation gives a boost to the national profile of Warren, a liberal favorite who appears to be positioning herself for a presidential run. The American Housing and Economic Mobility Act of 2018, which may be more of a wish list than a near-term reality, would provide for the construction of new homes and the rehabilitation of existing ones. It would make it easier, cheaper, and faster for builders to put up new homes by giving local governments incentives to get rid of, or ease, some of their zoning and other land use regulations. The incentives could be used for infrastructure, parks, roads, or schools—and the cost cuts to builders could make homes less expensive for buyers and renters. Could President Trump’s 2018 Budget Make Housing Great Again? The legislation would also provide assistance to more marginalized groups of renters and home buyers. For example, the bill would offer more down payment assistance to predominantly low-income, minority communities where residents were historically denied mortgages due to now-illegal policies. It would invest in rural housing. And it would also expand the Fair Housing Act to make it illegal to discriminate against prospective renters and buyers based on their sexual orientation, marital status, gender identity, and occupation. In addition, the bill provides $2 billion in support for homeowners who are still underwater on their mortgages a decade after the financial crash. It’s projected to create 3.2 million new units of housing and lower rents for lower- and middle-income tenants by 10%, according to an independent analysis by Moody’s Analytics. The unpaid analysis was commissioned by Warren’s office. The bill would be paid for by increasing the estate tax along with taxes on the 10,000 wealthiest households in America. That’s very unlikely to happen under President Donald Trump. “When the political window opens, [this legislation can go] through it,” Zandi says. The National Association of Home Builders lauded the bill, particularly its elimination of “unnecessary local land use rules that drive up construction costs and harm housing affordability,” said the group’s chairman, Randy Noel. But Noel is concerned that raising the estate tax to fund these changes could harm family-owned small businesses that are passed down from parents to their children. Clare Trapasso is the senior news editor of realtor.com and an adjunct journalism professor at St. John’s University. She previously wrote for a Financial Times publication, the New York Daily News, and the Associated Press. She is also a licensed real estate agent with Charles Rutenberg. Contact her at clare.trapasso@realtor.com.